Fire crews rescued a woman from the second floor of the townhouse after she became trapped. 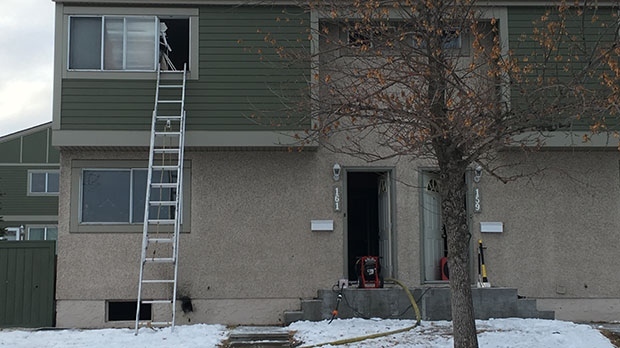 Calgary fire crews rescued a woman from the second floor of a northeast townhouse on Wednesday morning after she became trapped by a fire in the building. 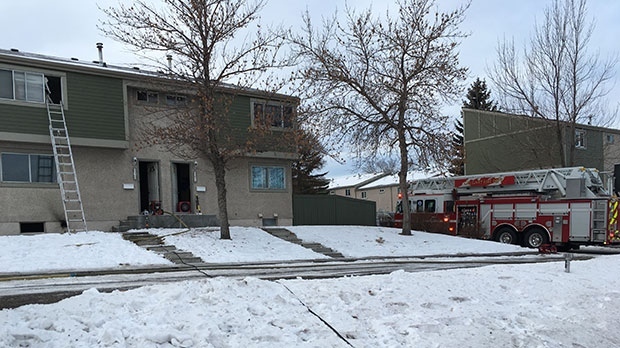 Firefighters were called to Evergreen Village, in the 400 block of 64 Avenue N.E., at about 9:10 a.m. for reports of a fire. When crews arrived, smoke was coming from one of the units and a woman was trapped in a bedroom on the second floor. 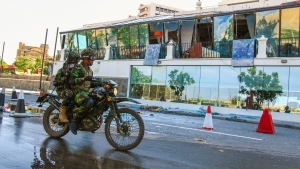 “There was a woman at the second storey window who had not been able to self-rescue. 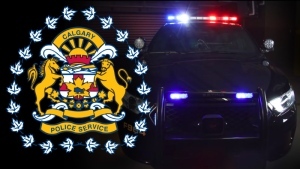 Her unit was full of smoke,” said Carol Henke, Public Information Officer, Calgary Fire Department. Crews quickly put up a ladder and pulled the woman out of the home through the window. The woman was assessed by EMS at the scene. Police shut down eastbound 64th Avenue at Centre Street to give crews room to work. Fire crews were able to contain the fire to the basement suite and say there was some smoke damage to a nearby unit. Officials say smoke alarms were working and that the fire is being considered accidental in nature. A fire investigator has been called in to determine where the fire started and the cause. Fire crews were called to a blaze at a townhouse complex along 64th Avenue N.E. on Wednesday, December 12, 2018.